Often it is said that childhood is a time of innocence and it is believed that innocence is best left in childhood as it has no part in adulthood. This is inaccurate, innocence is an important part of your spiritual nature. Nor is the belief that once you have ‘lost’ your innocence you can never recover it. Lack of innocence is just a coat we put on to protect ourselves, or a pair of glasses we put on in order to see the world more ‘clearly.’ Neither of these things is permanent nor is it needed on the soul level. Lack of innocence is a way we believe we are protecting ourselves when we feel vulnerable. 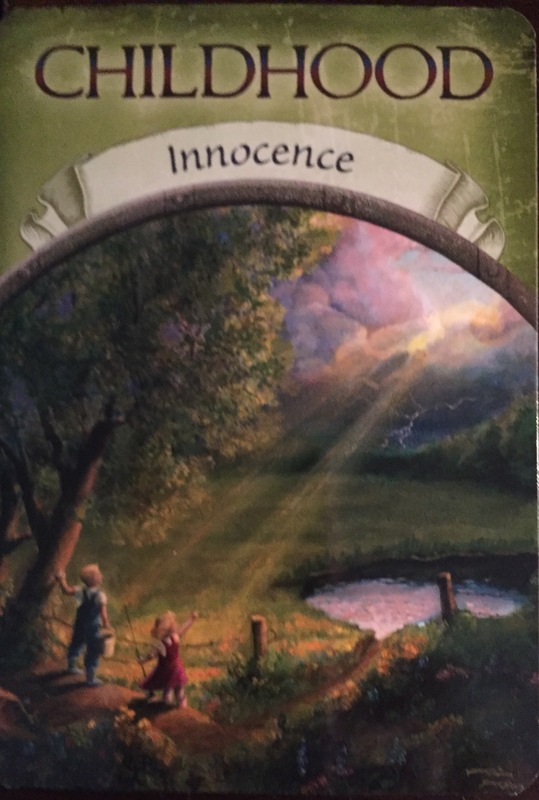 When you truly know that you are a beloved child of the Universe, that you are always protected and provided for, you will be able to live your life with out needing to hide your innocence. You can take of that coat and those glasses for good! Experiencing your innocence from the soul level allows you to feel the beauty of all that is around you. You are a participant in magic that abounds. You see the light and innocence that is in all. You are unconditional love. Take some time today to reconnect with your innocence and look with wonder at the world around you.